Quality you can trust. Save up to 50% with the original XL cartridges. Black Ink Cartridge HP 364XL allows you to print sharp laser-quality text. Rely on superior print quality and ease of recycling ink cartridges from HP. Prints, using individual inks and HP Advanced Photo Paper resistant to water, smudging and fading. Print documents with rich black text. Deeper blacks improves contrast and sharpness of the text. Documents dry faster and less blurring during handling. The prints can be when using Original HP inks and photo paper HP Advanced Photo Paper safely handled immediately after removing it from the printer. With HP CN684EE can print up to twice as many color pages. The original high-capacity HP ink cartridges are designed for frequent printing, allow you to print multiple pages and do not require frequent replacement as standard Original HP ink cartridges. It offers superior reliability and performance. All Original HP ink cartridges are guaranteed that they reflected within the warranty period of defects in materials and workmanship. 106 x 23 x 115 mm. For shipping to other EU countries visit this page HP CN684EE no. 364XL . Für Versand nach Deutschland, besuchen Sie bitte HP CN684EE Nr. 364XL. Chcete doručit zboží do Česka? 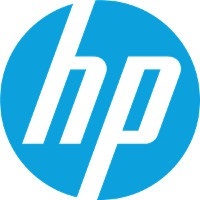 Prohlédněte si HP CN684EE č. 364XL černá. Chcete doručiť tovar na Slovensko? Prezrite si HP CN684EE č. 364XL. Magyarországra történő kiszállításért tekintse meg ezt a termékoldalt: HP 364XL (CN684EE).